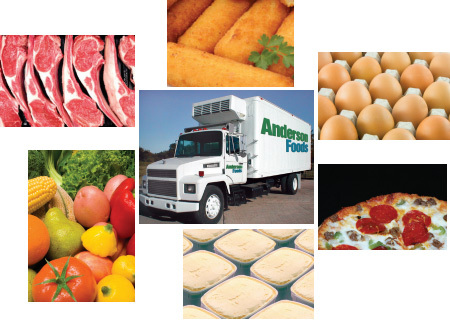 Refrigerated Transport | Tracking Systems, Inc.
Refrigerated delivery companies that must keep their onboard inventory safe, and want to run their businesses more profitably, can achieve both goals thanks to Tracking Systems’ wired SureTempGPS temperature sensing, tracking and security capability. The powerful device works in conjunction with Tracking Systems’ GPS fleet management application, collecting and transmitting exact temperature, location and security information on every vehicle, every five minutes to protect your equipment and inventory. 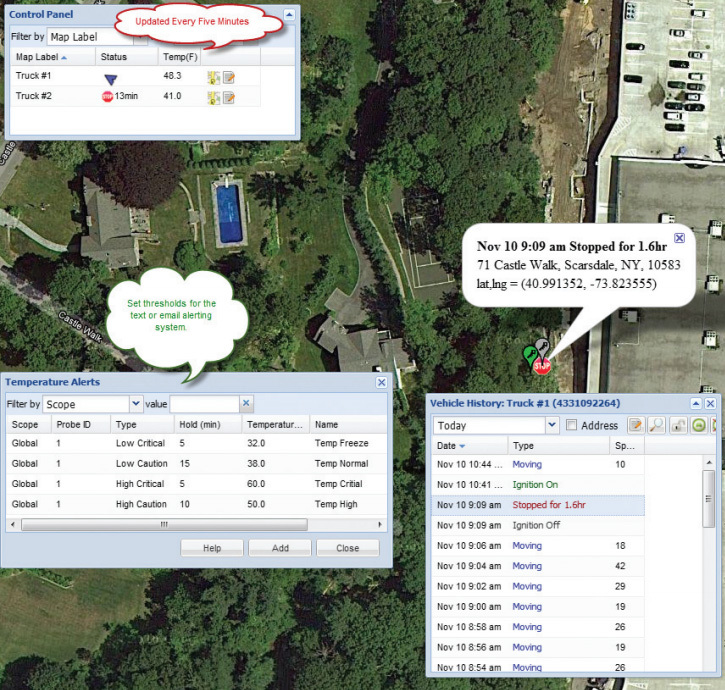 SureTempGPS also calculates and transmits average hourly temperature by vehicle. Power outage? Compressor failure? No worries. 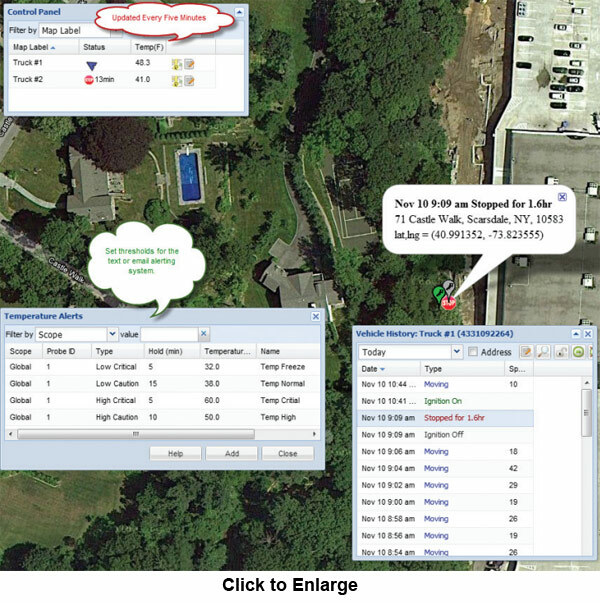 SureTempGPS has the unique ability to set and monitor high and low temperature thresholds, alerting you — by cell phone, email or both — whenever refrigerated air varies from pre-set degrees. The waterproof device monitors up to four customizable temperature zones per vehicle. By identifying in real time which vehicle is at risk, fleet personnel can take immediate action to eliminate potential losses. In fact, our full complement of fleet tracking services — combined with a highly detailed mapping and reporting system — has saved clients thousands of dollars in lost inventory and maintenance costs while providing substantial fuel savings and eliminating wasted man hours. watch over what matters most.